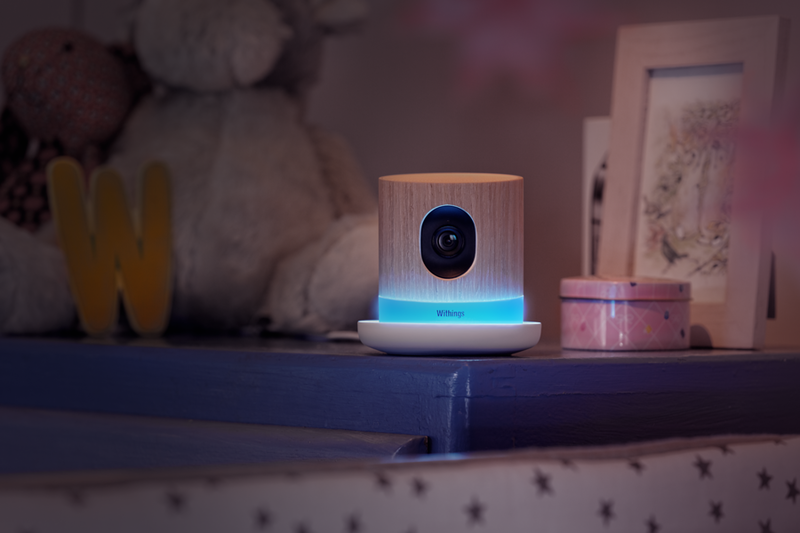 November 24, 2015 – BOSTON, MA — Withings, a leader in the connected health revolution, today announced updates to its Withings Home HD camera, making it the most advanced baby monitor on the market. The aesthetically beautiful home and air quality monitor now includes Baby Monitor Mode with continuous alerts and monitoring, interactive push-to-talk, and improved Lulla Light & Music programs. With the connected Withings Home application (available on Android, iOS, Apple Watch, and tvOS), users also gain access to the other new “Control Center” modes including “Active Monitoring”, “Do Not Disturb” and “Camera Off”, extending the capabilities for users wanting to stay connected to their family from anywhere. With the new “Baby Monitor Mode”, keeping an eye or ear on a baby was never easier with the new robust baby monitor capabilities that include alerting parents whenever Home detects noise or movement regardless of whether the app is running in the background or the smartphone is in lock–mode. The push–to–talk feature allows family members to interact from their phone in a meaningful way with their baby. 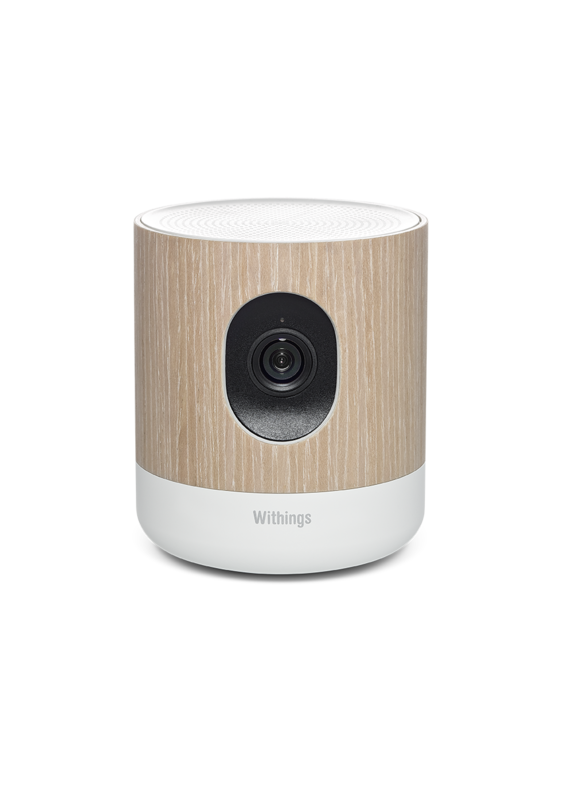 With the enhanced infrared night vision, Withings Home sees in the dark, allowing parents to not be disruptive when they want to peak in and see how the baby is doing. 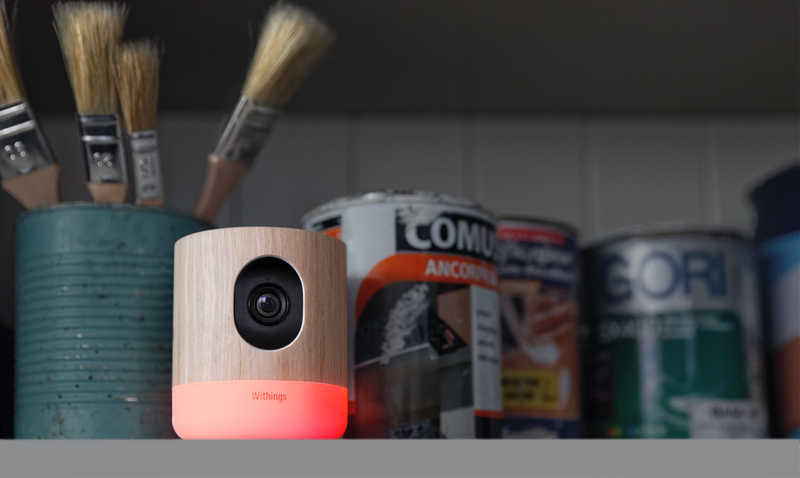 Withings Home also has environment sensors which alert to changes in VOCs (volatile organic compounds), unseen participles that could originate from cleaning products, baby wipes, etc. and can cause harmful health effects. This one additional health tracking feature shows how Withings is truly innovating the connected health environment. Preparing little ones for sleep time is now a breeze with the dynamic LED–connected Lulla Light & MusicTM sound programs, developed by infant specialists who carefully curated the best lullabies to help babies fall asleep. The nightlight uses the light most conducive to sleep — the red light in the narrow end of the spectrum — which is synchronized with soothing music. If the baby wakes up, parents can launch the Lulla Light & Music programs from their phones to help lull their baby back to sleep. With the three other modes, Home gives users more options on how they can interact with the device. “Active Monitoring” lets users have full control by sending all alerts when the camera detects unusual movement and noises, or a change in air quality. For those times that users don’t want to be interrupted, the “Do Not Disturb” mode allows Home to keep recording any activity or noise but doesn’t send notifications. For those times it’s unnecessary to record motion or noises, the “Camera Off” mode turns off recording but keeps monitoring the air quality inside the home. All modes include a detailed timeline in the app to keep track of all notifications, animated timelapse, and options for Cloud Video Recording plans to save video up to 30 days. Withings leads the connected-health revolution by inventing beautiful, smart products and services that help people become happier and healthier. Founded by visionary innovators Cédric Hutchings and Eric Carreel in 2009, Withings is committed to creating enjoyable, empowering experiences that easily fit into our daily lives. Withings has built a range of award-winning products across the health spectrum including activity trackers (Withings Pulse and Activité), the Wifi scale and health station (Smart Body Analyzer), the Wireless Blood Pressure Monitor, the security camera with air quality sensors (Withings Home) and an advanced sleep system (Withings Aura). Every piece of collected data comes to life in the Withings applications where users can find coaching, motivation and insights to shape key aspects of their health.